Choosing one color is tricky, and selecting colors for your entire home can be frustrating. So, how can you know all colors you choose will go together? 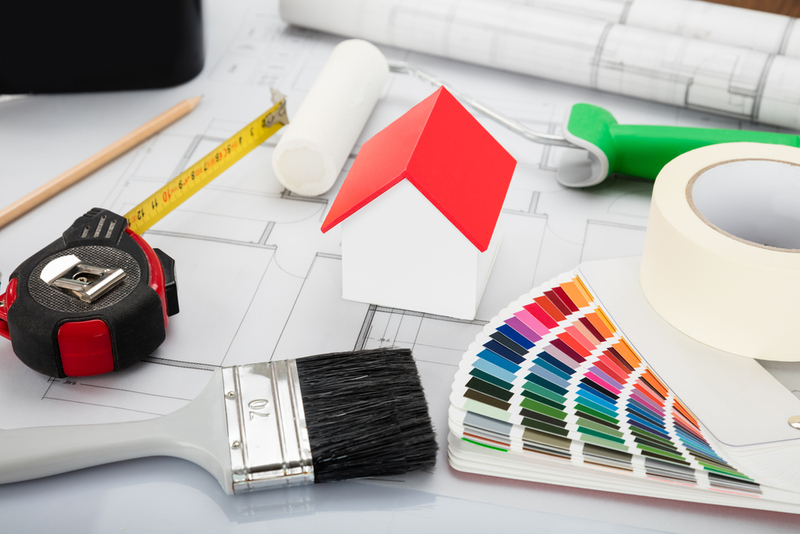 Read further to know how you can choose the right color for your first house painting. One good way to select a color scheme is choosing colors from the biggest visible pattern in your space. For instance, if you possess a colorful rug, patterned upholstery, or a huge fragment of artwork, then choose colors from that pattern. If you aim for a neutral wall paint color, check out patterns of beiges and whites. A good strategy in making any space look beautiful with less risk is using darker tones for the floor, lighter or medium shade for the walls, and very light color for the ceiling. According to designer Mark McCauley, the house’s interior space reflects the outside world. For instance, the environment is typically darker beyond our feet (earth), medium-toned as we look straight through (trees/surroundings), and light up or skyward. Formal areas are where you welcome your guests including the entryway, living room, and dining room. Pick a color scheme from those rooms and pick one color from that scheme. For instance, pull a green couch and tone it down like an emerald color, and accentuate it on private rooms such as the office, bedroom, or den. Generally, analogous color schemes are relaxing and casual. Also, they work wonders in private or informal areas. This can be specifically good for your bedroom, or a room where you intend to rest and relax. When you shop, you usually pick clothes in colors you want to wear and would generally look best in. Likewise, you dress your rooms in colors that flatter your clothes. For instance, if you like denim, then you may want to consider a navy sofa. On top of that, you can mix in a little citrusy accent with accessories, pillows, etc. The color is gray is today’s trendiest neutral color that works in any interior. This color is known for its chameleon-like quality which allows it to look cool or warm. Also, it can be paired with any colors from pastels to bright colors. Separate your colors into elements of 60-30-10. This rule goes like this: 60% dominant color (walls), 30% secondary color (furniture), and 10% accent color (ornaments). This rule works like a charm because the ratio guarantees the perfect balance of colors and provides enough pop for interest. Do choose the color white for the smallest room in your house just to make it look bigger. Instead, give it an exciting quality with a vibrant or catchy color choice. Let those small rooms envelop you, and the bigger rooms expand with light. Neutrals should not be boring in a chic bedroom that mixes warm honey-colored tones and cool gray values. The overall effect of it is soothing, and contrasting those two opposite tones will generate a tension that wakes up a dull space. Expand your favorite color by using it in a small space, such as the bathroom and fill it with that single hue. For instance, if your favorite color is green, you can balance that color with white floors and walls. Your chosen color or shade is eye-catching but not too overwhelming. A good strategy to not overpower your paint colors is limiting your color scheme to three colors. For instance, you can use saturated tones of navy blue, sunny yellow, and grass green to make your room look and feel fresh. Let people appreciate your taste and style by decorating your home honestly. Follow what you want. For instance, if you want every room in your home green, blue, and beige, then go for it. You can make your home look so good with the colors you choose when it fits your personal style. Choosing a paint color for your home is not really that difficult as long as you know the basic rules and you know your style. It is your home, after all, choose your favorite colors and reinvent it on your home the way you want it to be. Your guests will appreciate your style and how it will look in your place. 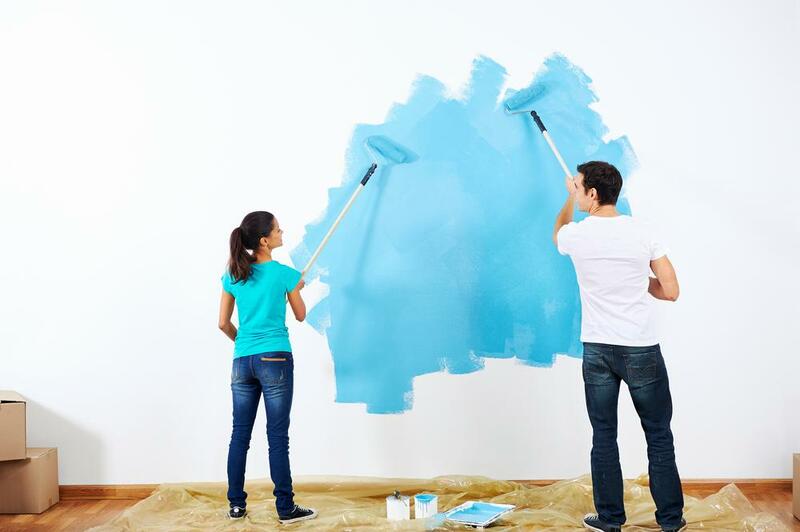 Furthermore, you can also seek help from painting professionals like Denver CO painters about choosing the most suitable paint color for your home. Nestor Orlean writes as a contributor for Denver CO Painters. As a frustrated artist, Nestor brings with himself countless hours of research into the creative field, which he himself transforms into his unique voice and creative writing whenever he writes his pieces. Nestor is currently in a photography mix, and he’s pursuing street photography whenever he’s free. Why is Single Ply Roofing the Most Well-known Type of Roofing? Normally, I just choose a paint I like and use it. Since we are going to be painting 90% of the rooms in our house, this post gives me a lot to really think of! Most of my home is in colors flatter my clothes.